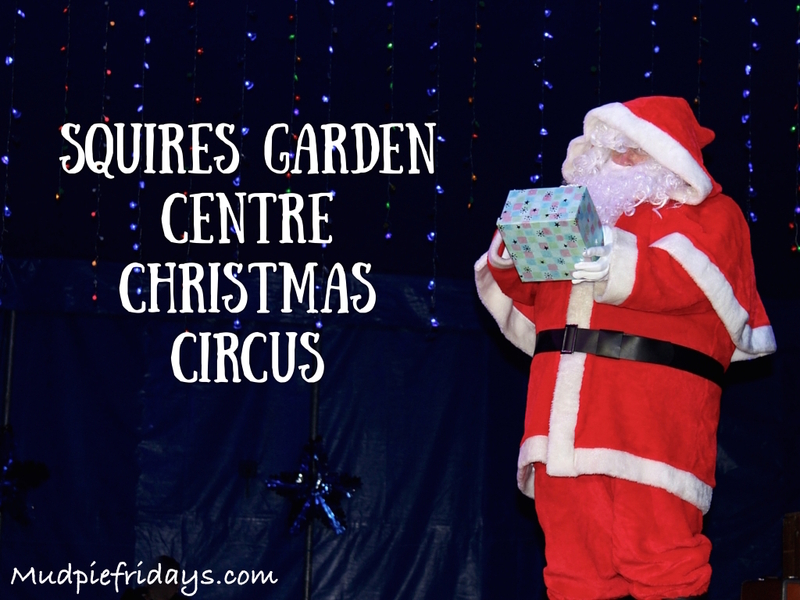 On Friday afternoon Monkey and I were lucky enough to be invited to review The Christmas Circus at Squire’s Garden Centre near Washington. 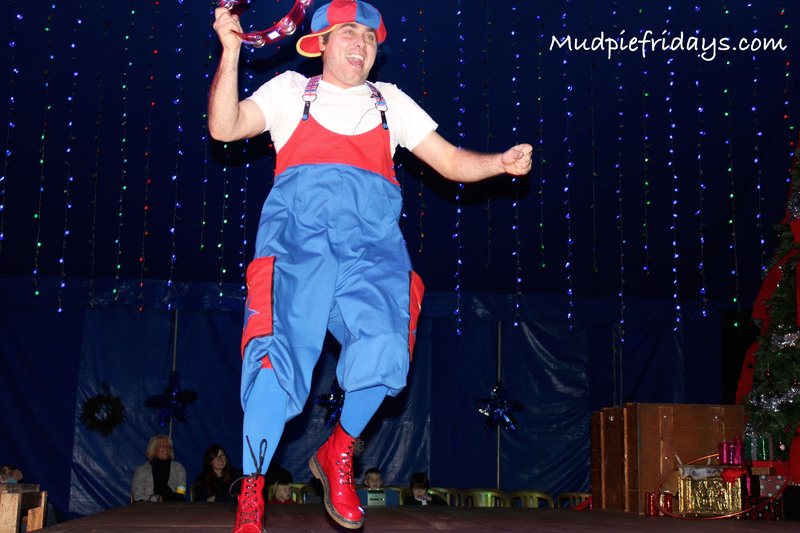 We actually attended the same event run by Chaplins Circus last year when Monkey was two and a half. It obviously resonated with him as when I told him we were going he got very excited and started talking about what he had seen previously. I was slightly amazed by this considering his age. As one of the first into the ring Monkey got to choose where he wanted to sit. He chose ringside seats in the front row along the side nearest to the entrance. I was a little worried that we wouldn’t get a very good view but the stage is just the right height and we could see perfectly. As well as three rows of ring side seating there is elevated seating towards the back, which would still mean you get a great view of the show. All around the stage hanging from the ceiling are hundred of twinkling fairy lights which makes the whole experience really magical. The show is set up along a toy story theme (not the well known film). Twiglet (above) is having trouble settling down to sleep, and we all know that Father Christmas will not pay him a visit until he is asleep. The ringmaster tries to encourage him to go to bed, but every time his back is turned Twiglet gets up to some sort of mischief. Sounds familiar? Including opening various presents under the tree. Also on stage is a magic box which when Twiglet puts the contents of each present in, they magically come to life to entertain the audience. From start to finish Monkey’s eyes were glued to the stage. The first doll became a beautiful lady dressed in red who did some amazing things with hula hoops. Making it look effortless! She was then followed by a clever juggling act. Monkey was very impressed with his magic hat! In between the acts Twiglet is getting up to mischief and causing hilarity amongst the audience. At one point he even fell off his bed bringing tears to some of the audience’s eyes as they struggled to contain their giggles. And don’t get me started on the yellow bandana…. My photos really do not do this spectacle justice, she must be a good 30ft off of the stage at times and does all of this without a harness. Twisting the fabric around herself, climbing up and spinning down it really was amazing to watch. Monkey was silent throughout the whole performance. 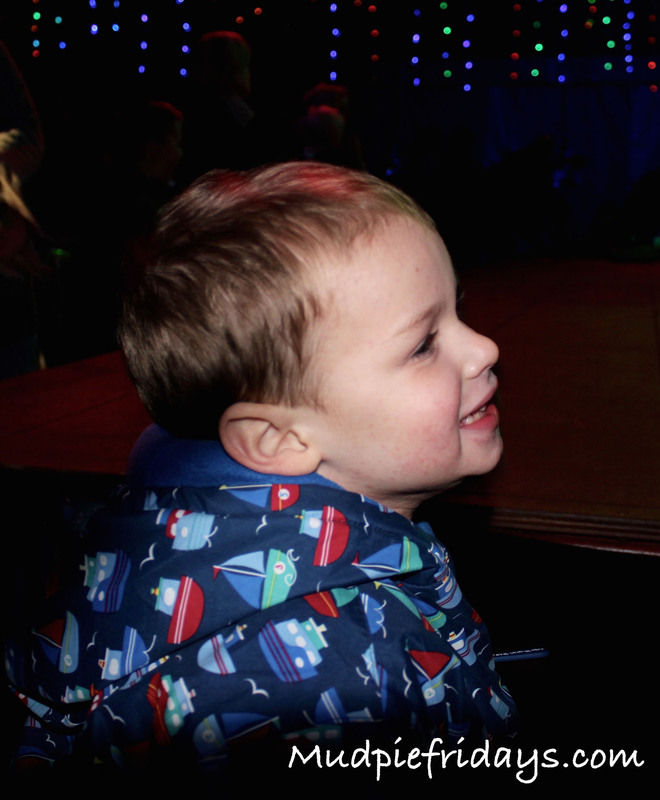 Monkey’s favourite part (not including meeting Father Christmas), was when the fire juggler came out. 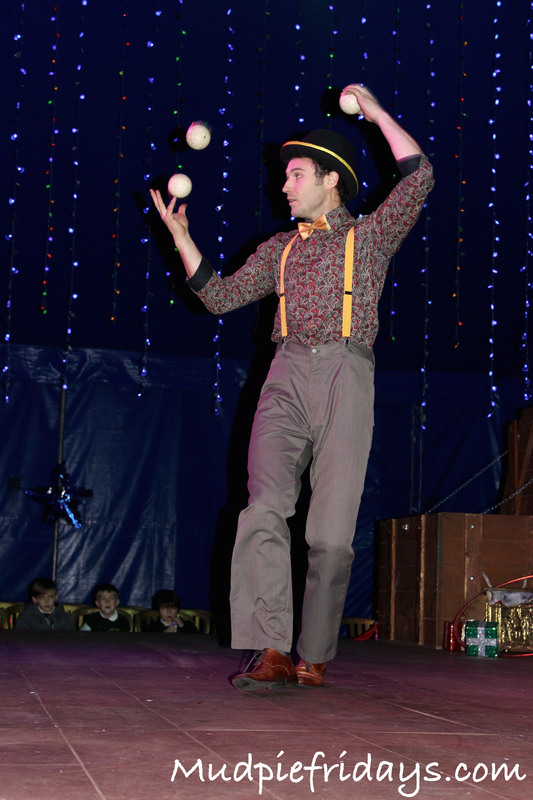 All around the tent you could hear little children going oooo and ahhhh as he juggled and threw the fire around the stage. At the end of his performance Twiglet finally managed to drop off to sleep, and of course once he had Father Christmas came to deliver his presents. Naturally Monkey got even more excited at this point, especially when the Christmas songs came on and everyone was invited to dance around the stage. I think his face below says it all. 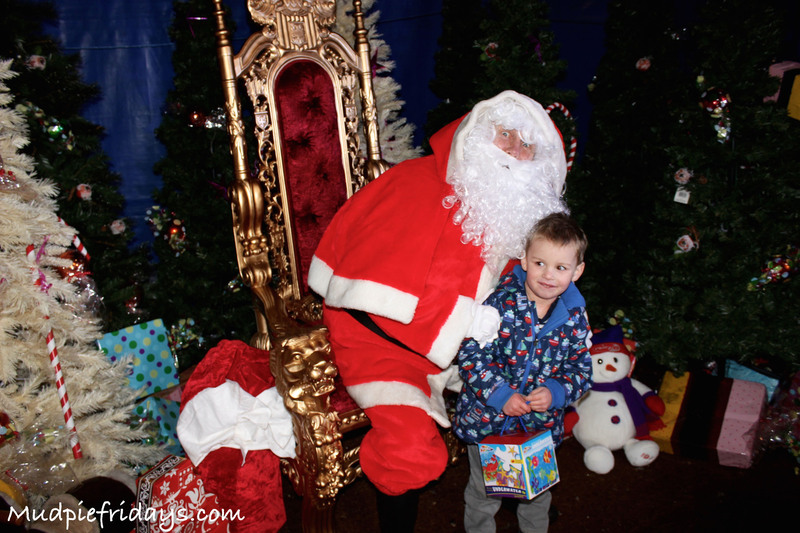 After a short dance everyone is invited to queue up to meet Father Christmas on the way out of the tent. The cast hand out age appropriate gifts on the way. The queue goes surprisingly quickly and everyone gets a chance for a photo. We had a splendid time and will definitely be returning again next year – I think we may have started a new family tradition. The only thing I would say is make sure you wrap up warm as it can get a little chilly in the tent. Cost: Front view tickets £10, Ringside tickets £12 or £14 and can be booked on line using the link above, by phone 01903 863505 or in person at the box office at Squire’s Washington. 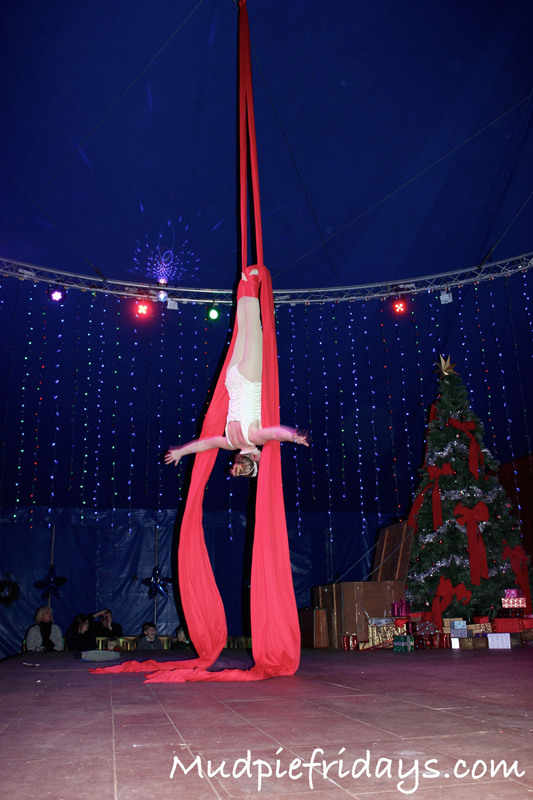 The show lasts approximately 60 minutes and there is a 10% discounts for groups of 10 or more. We were given tickets to the show for the purpose of this review, all views and opinions are my own. Looks like u all had a lovely time! The photos look lovely, I want to take Blake to something like this when he is older. how fab, I love how engrossed he looks. loving all these Christmas posts getting me in the mood! 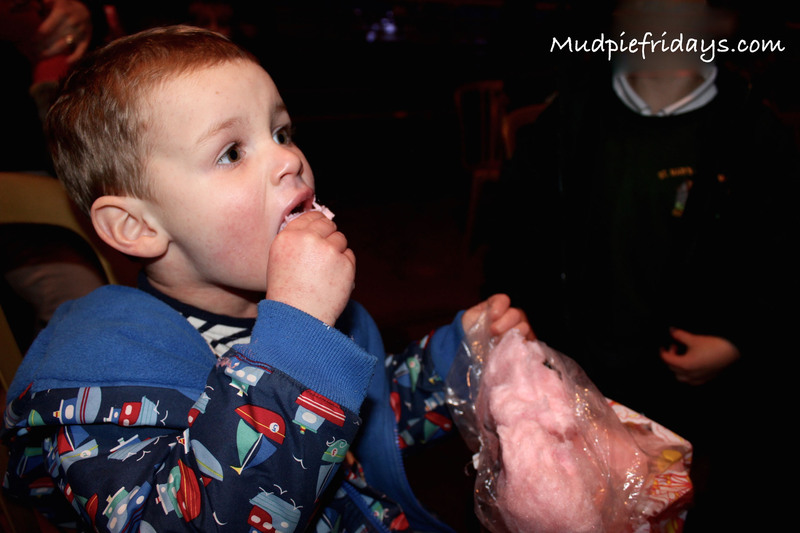 This sounds absolutely lovely, perfect for littler ones which a lot of circuses aren’t. I’m so impressed he remembered as well, that obviously made a huge impression. oh im feeling all christmasy now after reading that!! 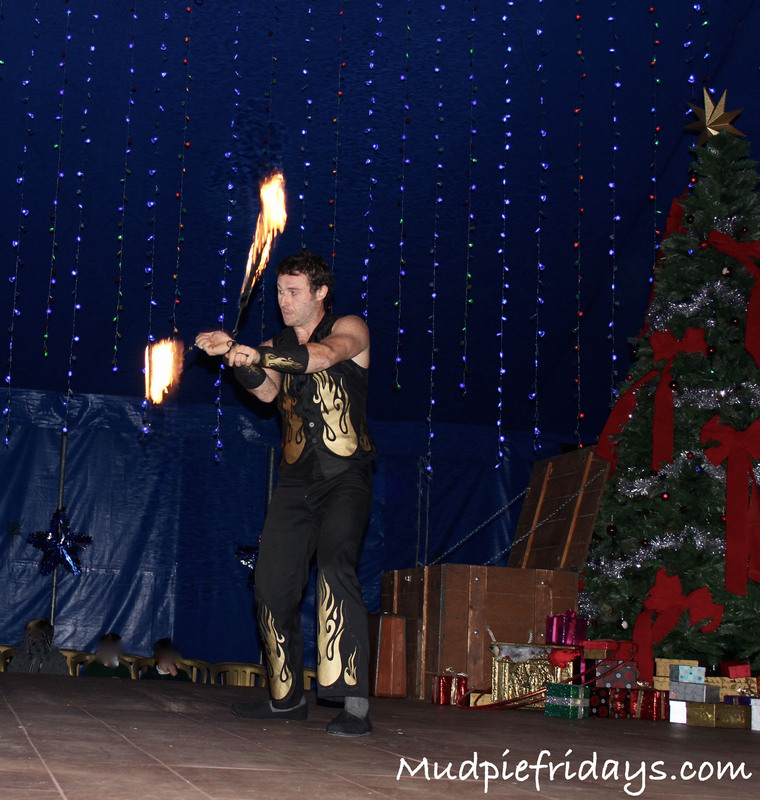 Woah I loved the flame throwers that is definitely a festive surprise for sure! Love a good Santa-athon. That looks fantastic! it’s been a long time since I’ve been to a circus and I would love to take the boys to something like this. No wonder he was silent throughout, so much entertainment to keep him occupied. 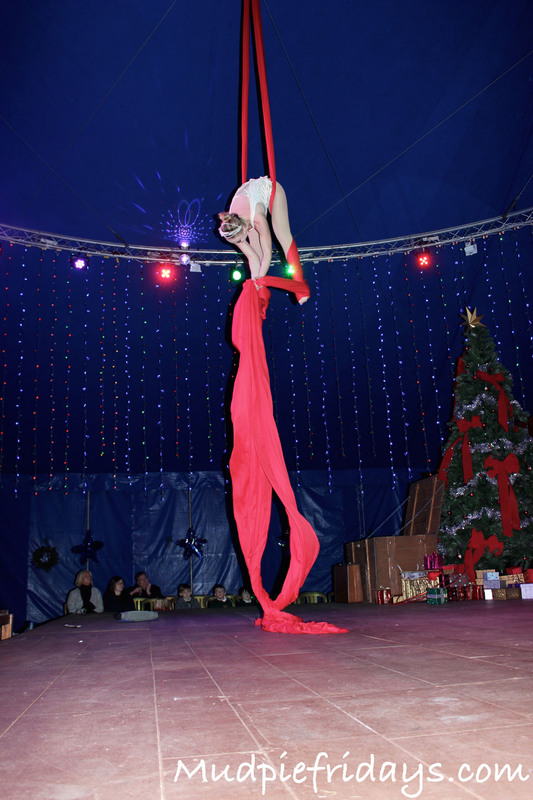 The acrobat looks fantastic, hard to believe that it’s just fabric twisted round her body keeping her up in the air.